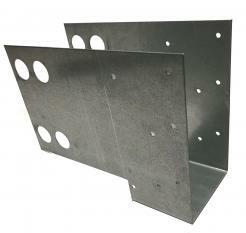 This product has been designed for the specific use of applications. Failure to ablide by engineering guidelines set for in engineering documents from this website that result in structrual failure, are soley the users responsibility. This product may not be used for unlawful purposes and that use is expressly prohibited under the terms and conditions of its use. You may not copy, distribute, transmit, display, perform, reproduce, publish, license, create derivative works from, transfer, or sell, any information, from the RP watkins LLC website or its products. This product is warranted against manufactured defect from date of purchase to arrival at your site. If product is damaged in shipping we will replace products with the intention of getting refunded by the carriers. If the products are damaged after delivery there is no warranty on the replacement. In no event shall RP Watkins LLC be liable for any direct, indirect, punitive, incidental, special consequential damages, to property or life, whatsoever arising out of or connected with the use or misuse of it’s products. RP Watkins LLC employees or representatives, ORAL OR OTHER WRITTEN STATEMENTS, DO NOT CONSTITUTE WARRANTIES, shall not be relied upon by buyer, and is not part of the contract for sale or this limited warranty. The TERM OF USE, WARRANTY AND DISCLAIMER document states the entire obligation of RP Watkins LLC with respect to the products. This disclaimer statement is governed by the laws of The United States and Canada. You hereby consent to the exclusive jurisdiction and venue of the Courts of TheUS and Canada, in all disputes arising out of or relating to the use of this product. Use of this product is unauthorized in any jurisdiction that does not give effect to all provisions of these terms and conditions, including without limitation this paragraph. RP Watkins LLC reserves the right to change the terms, conditions, and notices under which their products are offered.